Spectral (i.e., wavelength-dependent) radiation is intensity of output from a radiation source (e.g., sun, electric lamp, reflected radiation from a surface of interest) as a function of wavelength. Radiation spectra vary for different radiation sources and conditions. Radiation spectra can be used to characterize radiation sources. 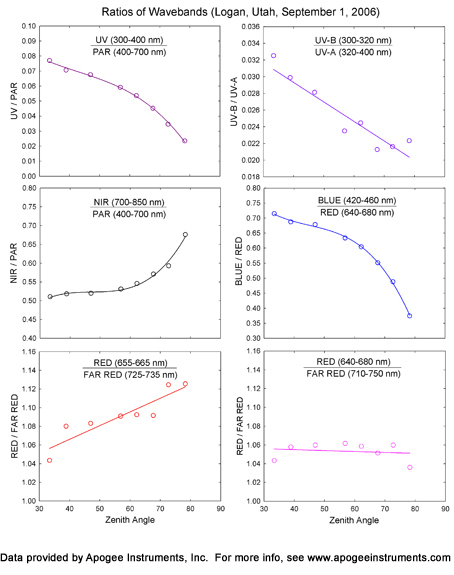 Spectrometers measure relative spectral radiation over a specified wavelength range. Spectroradiometers are spectrometers calibrated to output spectral measurements in absolute units (e.g., energy flux density in W m-2 nm-1 or photon flux density in µmol m-2 s-1 nm-1 ). 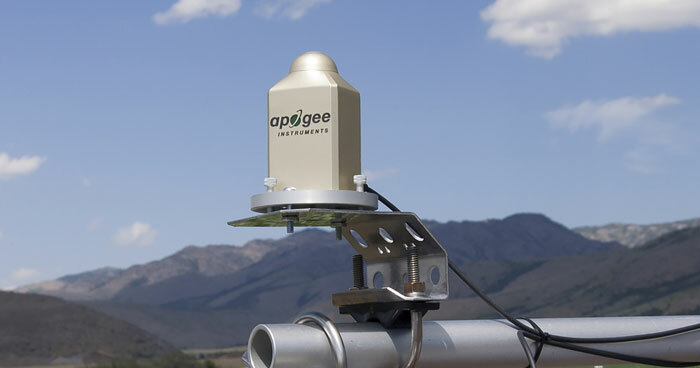 Apogee instruments offers two types of spectroradiometers, the Lab Spectroradiometer and the Field Spectroradiometer. The Lab Spectroradiometer is available in three wavelength ranges from 300 to 1000 nm, and is designed for laboratory and portable measurements. The Field Spectroradiometer is available in two wavelength ranges from 340 to 1100 nm, and is designed for field measurements as well as laboratory measurements. Measurement of spectral output (energy flux density, photon flux density, or illuminance) of different radiation sources (often for plant or human lighting), and reflectance and transmittance measurements of natural and synthetic surfaces and materials (often plant leaves and canopies). 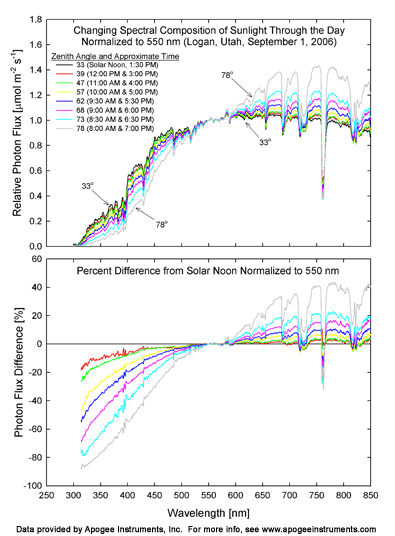 All spectroradiometer models are capable of measuring the photon flux and energy flux across the reported wavebands. 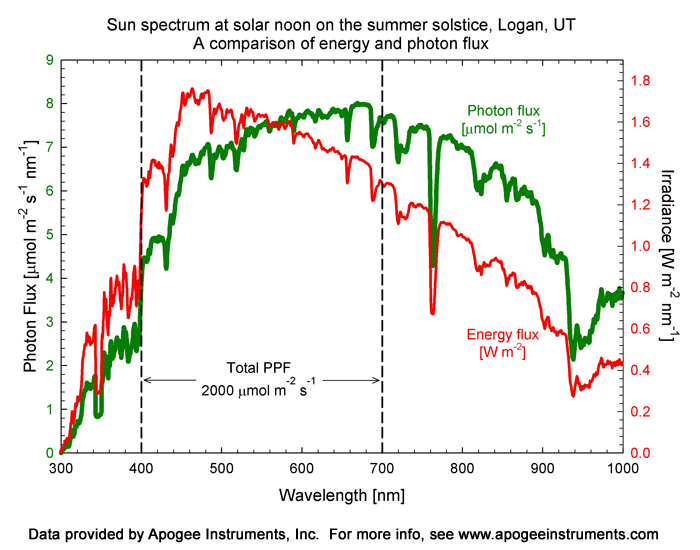 The figure at the right shows the difference between photon flux and energy flux. 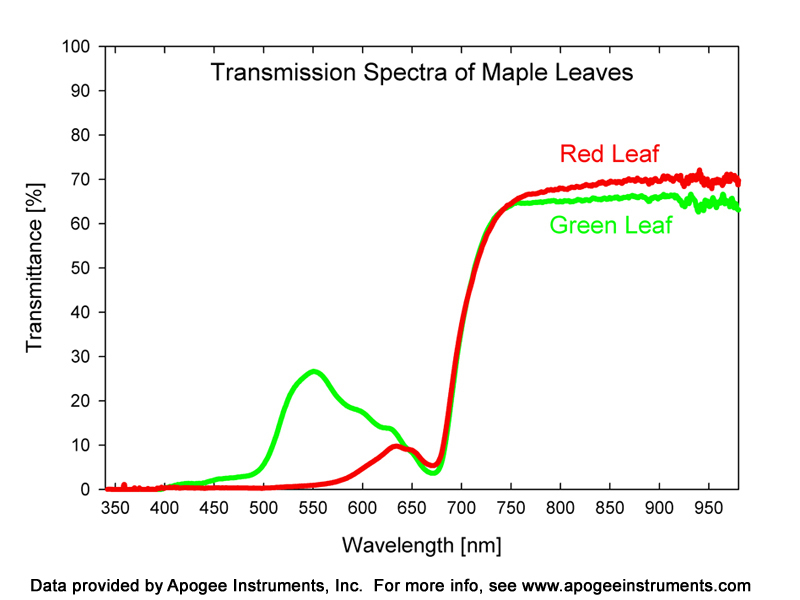 The transmission spectra below reveal the different pigmentation in two leaf samples. 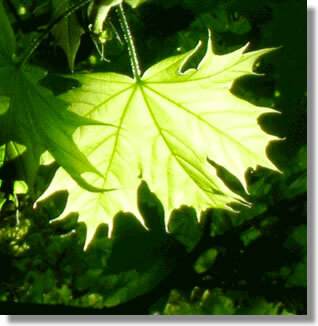 Both leaves came from Norway Maple cultivars, one a dark red variety and the other bright green.